In the SAP Enterprise Portal, we can process different application types in special iViews on the same portal page. Here, iViews can be included using different technologies (such as Web Dynpro ABAP, Java, or BSP). The communication between these iViews takes place through an event function – portal eventing (or client-side eventing). A WD or BSP can be registered for portal events. In this way, the WD or BSP can react to an event that was triggered in another iView in the portal. Therefore, it does not matter what technique you used to set up the application that is the basis for the other iView. The assignment as to which event handler is to be called when this event occurs is stored in the WD or BSP that has registered itself on the portal event. Similarly to registration, a WD or BSP application can trigger any portal event. In this case, the event is passed to the portal by the respective iView. The portal passes the event to all iViews that have registered for this event. The application that finally handles this event can, in turn, have been set up with a different technique than the WD or BSP application triggering it. Portal eventing functions only between iViews that are on the same browser window. Events between iViews in different browser windows cannot be transported. Namespaces com.sapportals.portal. * and com.sapportals. * are reserved by sap, normally we used the company namespace. Namespaces and event are case sensitive so be careful on the typing, because there is no syntax check. 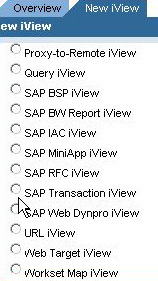 In my tutorial I trigger and register the WD or BSP from different systems into one portal IView. Goto SE80 create z_portal_event_sender component and application with default.view and default.window. In the context of default view add context node main and 3 attributes: text_area_1 and text_area_2, text_area_3. In the layout of default view add 3 input fields: input_1, input_2, input_3 which bind respectively to the context attributes: text_area_1, text_area_2, text_area_3, 1 button btn with action trigger_event. Goto SE80 create z_portal_event_receiver component and application with default.view and default.window. Register default view to the portal event Framework, in the wddoinit of default I registered the portal manager, on the server side after receiving the portal parameter, I split the parameter again into different field. data l_api_component  type ref to if_wd_component. 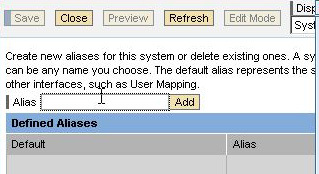 data l_portal_manager type ref to if_wd_portal_integration. data l_wd_view type ref to if_wd_view_controller. it_string like table of wa_string. EVT_NAME = WDEVENT-&gt;GET_STRING( NAME = 'PORTAL_EVENT_NAME' ). evt_parameter = WDEVENT-&gt;GET_STRING( NAME = 'PORTAL_EVENT_PARAMETER' ). Split evt_parameter at "*" into table lt_string. node_main = wd_context-&gt;get_child_node( name = `MAIN` ). Read table it_string into wa_string index 1. Read table it_string into wa_string index 2. The portal event send the data to the server, then I split the portal content in the server side. data: event type ref to if_htmlb_data. Data:lt_string like table of wa_string. split event-&gt;event_id at ':'  into event_namespace event_name. Split event_dataobject at '*' into table lt_string. Read table lt_string into wa_string index 1. Read table lt_string into wa_string index 2. First we have to configure the different system into Portal using Single Sign On(SSO). 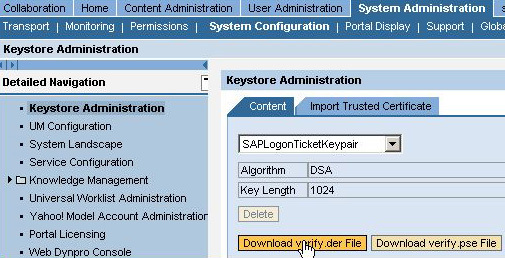 Logon the portal as administrator ->system administration->system configuration->system landscape->create folder name and id. 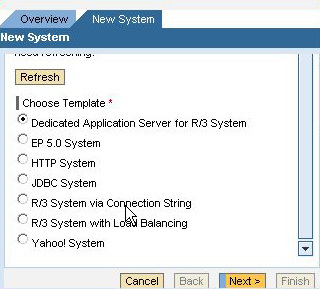 Under new folder create system and choose dedicated Application server for R/3 system and name and id, You have to configure each systems you used in the portal. Open the new system and modify the property editor, enter all the system technical information: host, port, client, system id; system number. Editor system alias for the new system, alias is used to identify the backend system. Logon the portal as administrator->user administration->users->create user. Enter the same user as backend ABAP system.